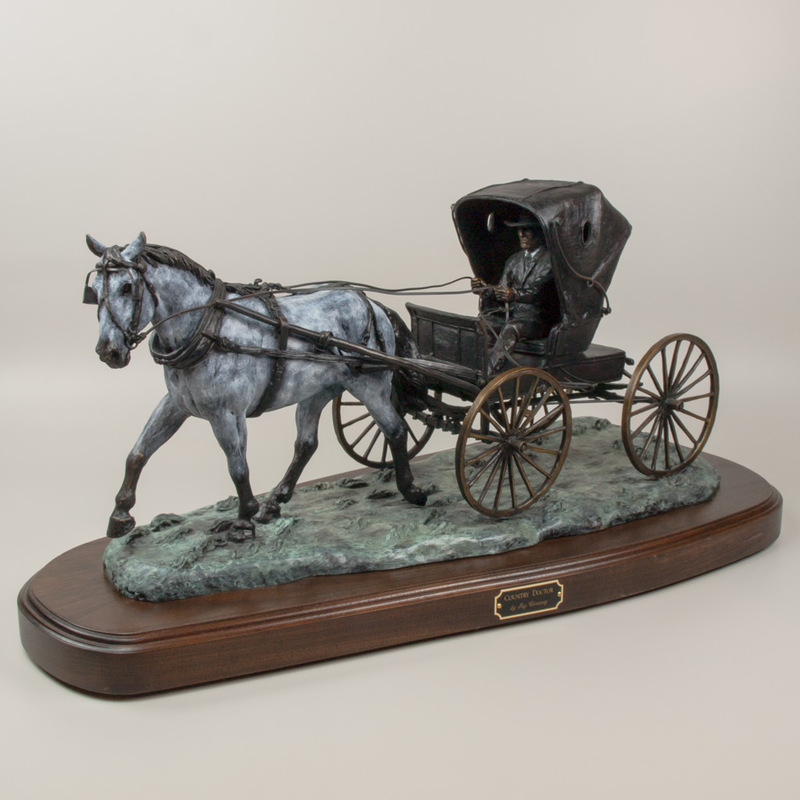 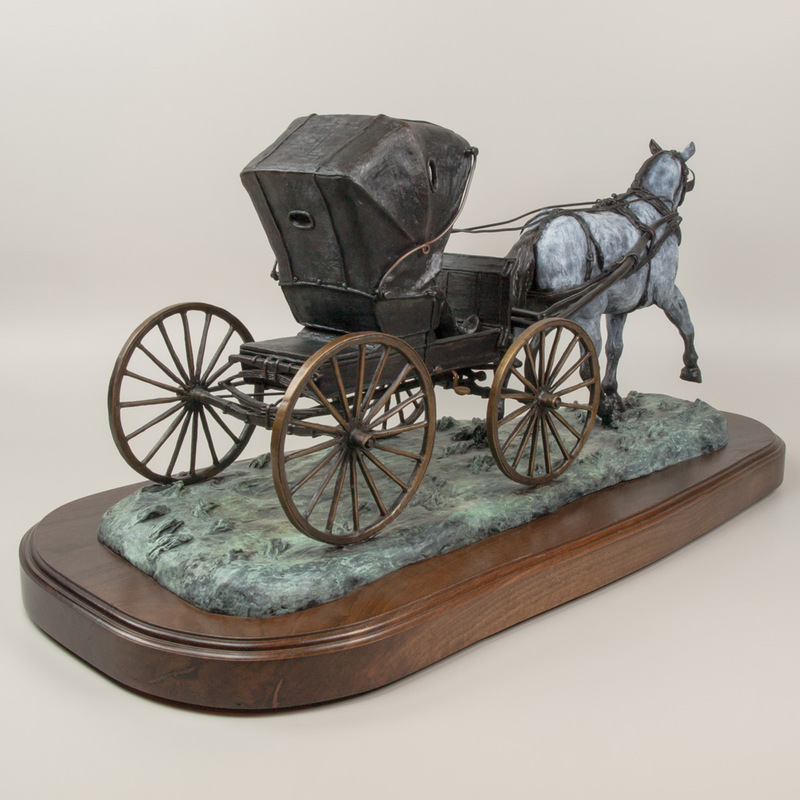 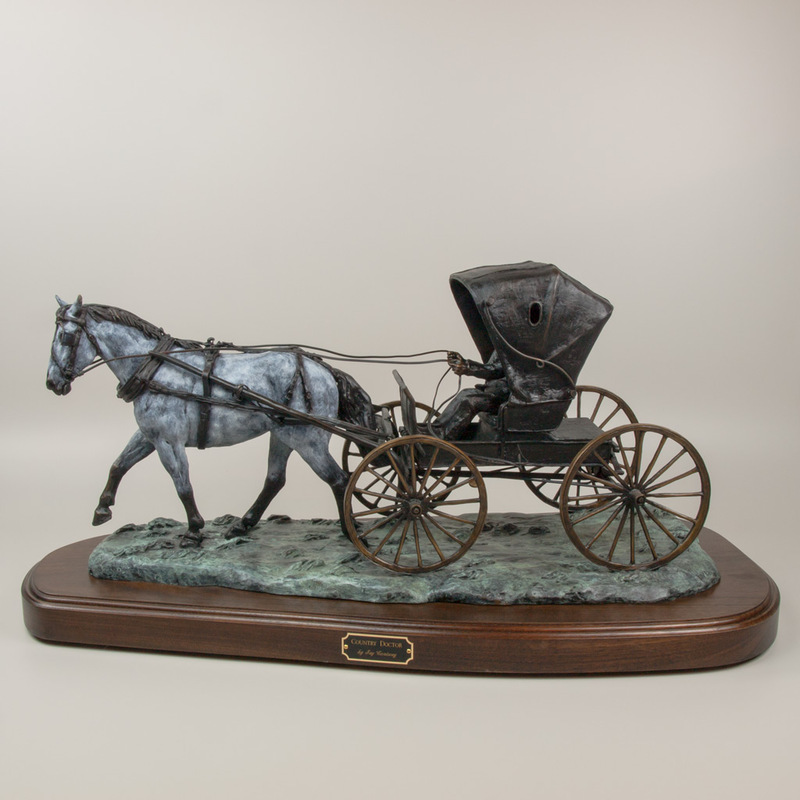 A copy of this bronze and my own restored Country Doctor Buggy are in the Phillips County Museum, Malta, Montana. The only place you find a country doctor’s buggy nowadays is in a museum like the Remington Carriage Museum in Cardston, Alberta. 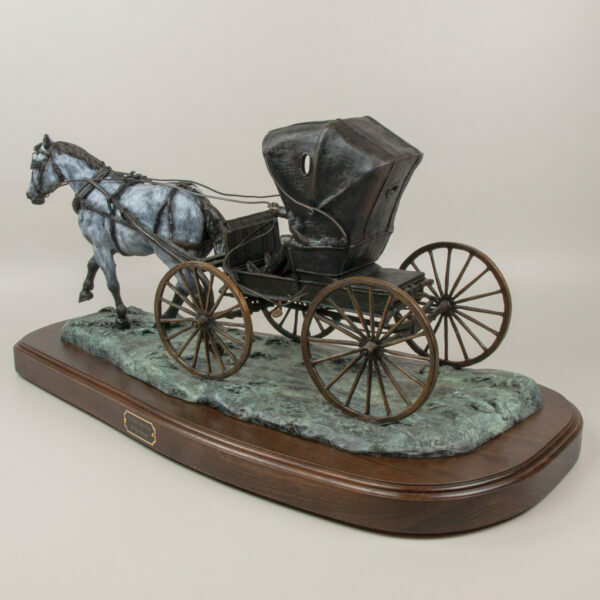 I visited there several times to study the carriages in their collection to be sure that my rendition of the doctor buggy would be accurate. This was a commissioned piece and I am proud to say that one casting is in the library of the Orthopedic Center at the University of Utah Health Care Hospital in Salt Lake City, Utah.